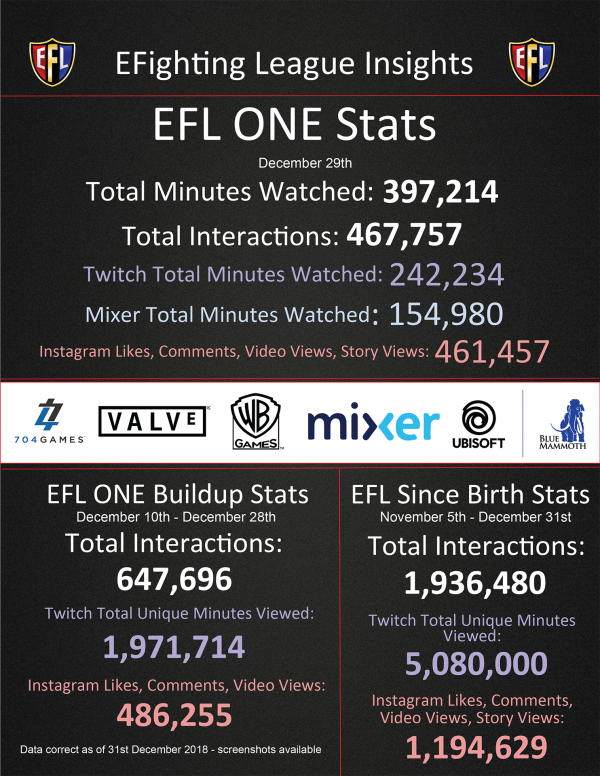 We are proud to announce our statistics from our first event, EFL One at the London Troxy. Our whole team has been humbled by the sheer amount of support and viewership for our first event. With support from partners like 704Games, Valve, Warner Brothers, mixer, Blue Mammoth and many more we were able to get over 397,000 minutes watched to put that in perspective that is over nine months in total viewing time. Stats like this push our team even harder to keep breaking records and bringing content to the masses! 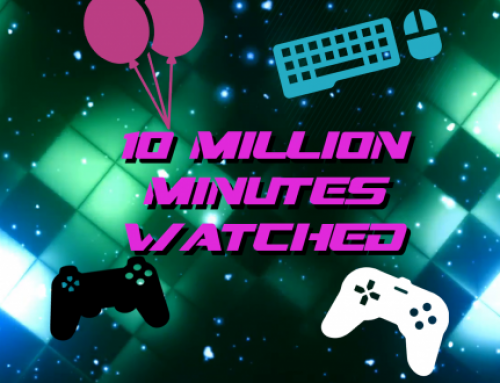 EFLGG Smashes 10 million minutes watched! Game content, logos and materials are trademarks and copyrights of their respective publisher and its licensors. All rights reserved. Electronic Fighting League unless otherwise stated is not affiliated with the game publisher. Some site content is available under CC BY-SA 3.0 (https://creativecommons.org/licenses/by-sa/3.0/) unless otherwise noted.